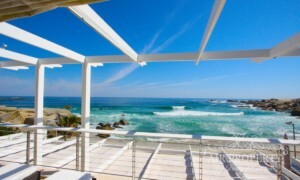 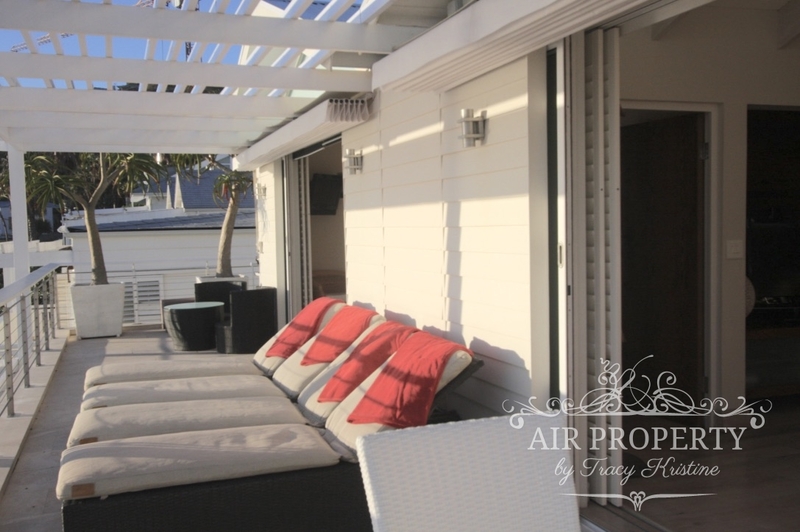 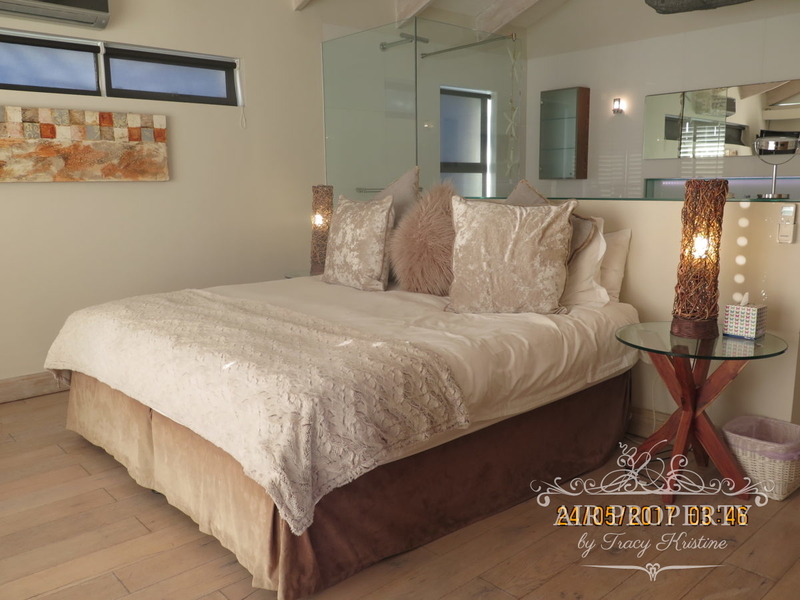 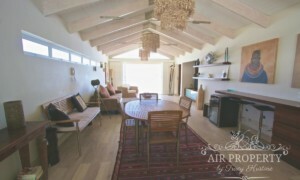 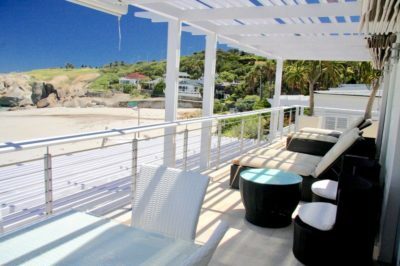 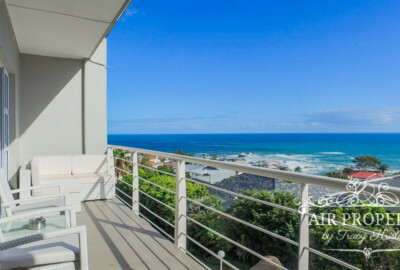 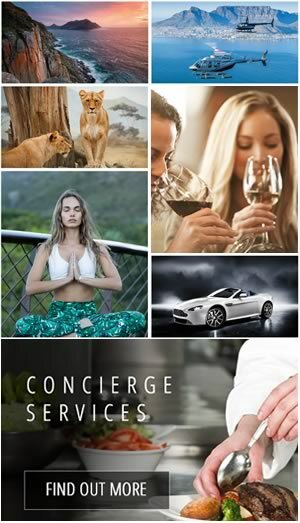 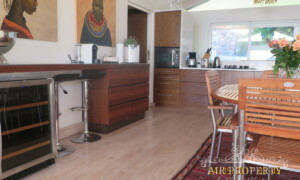 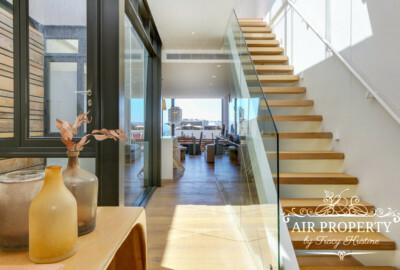 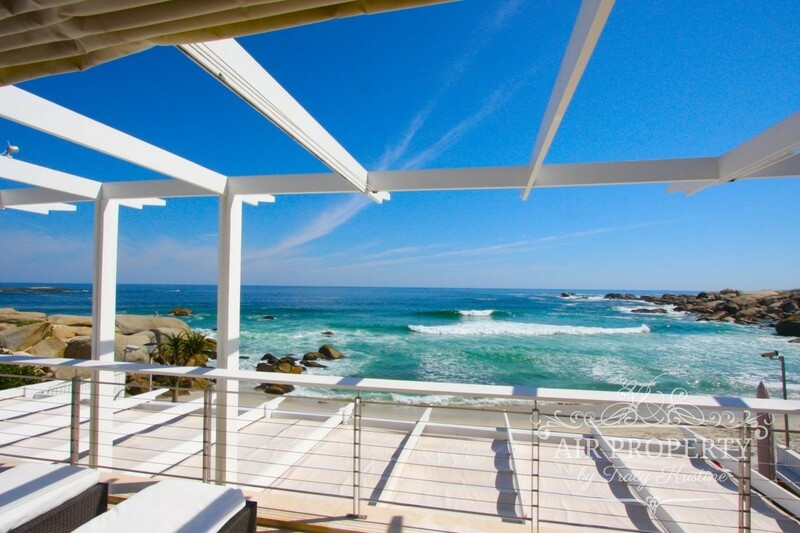 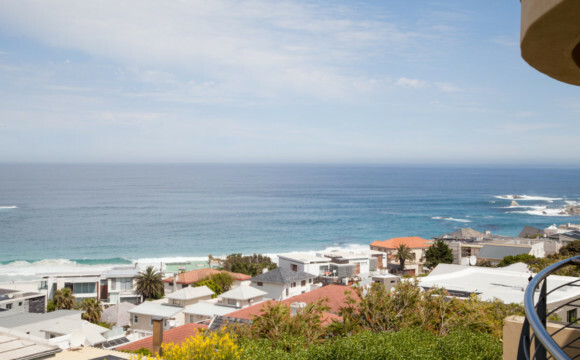 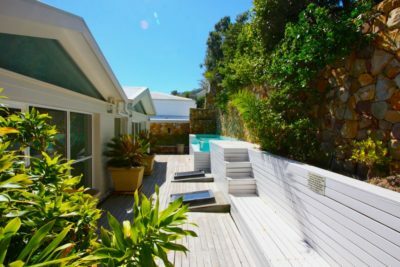 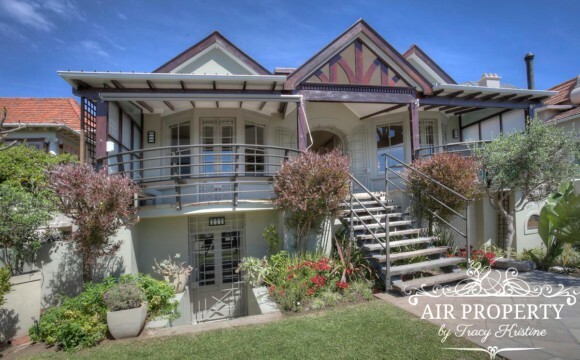 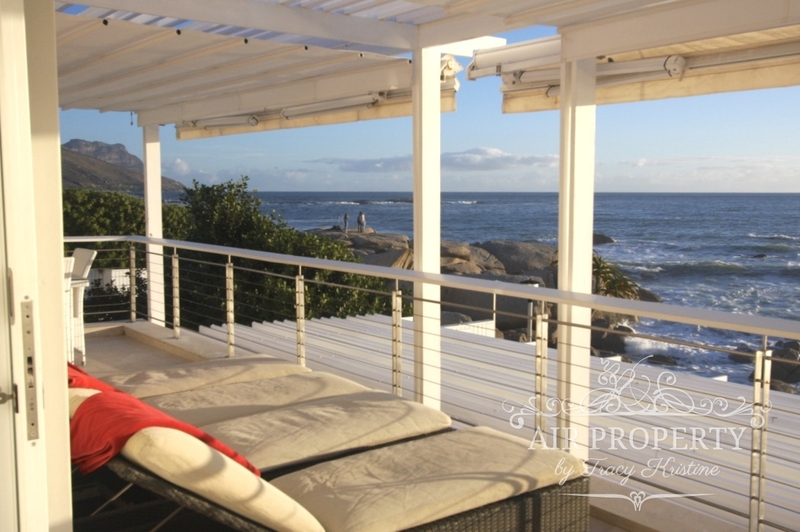 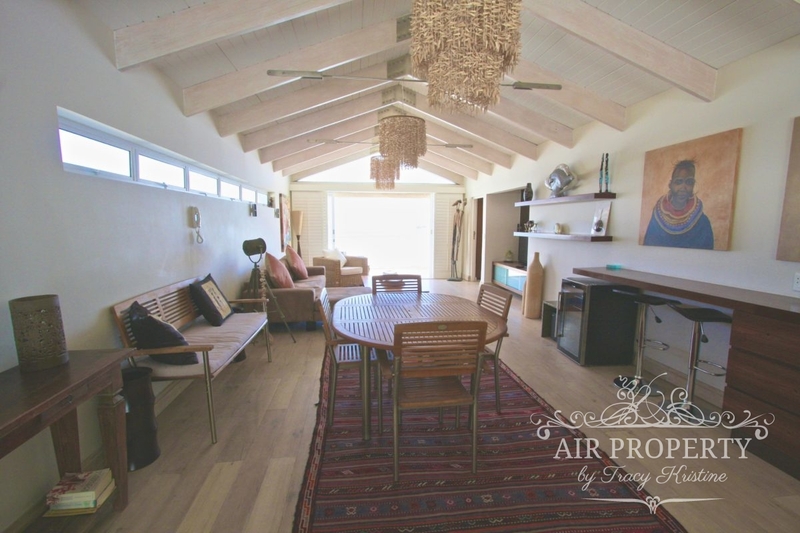 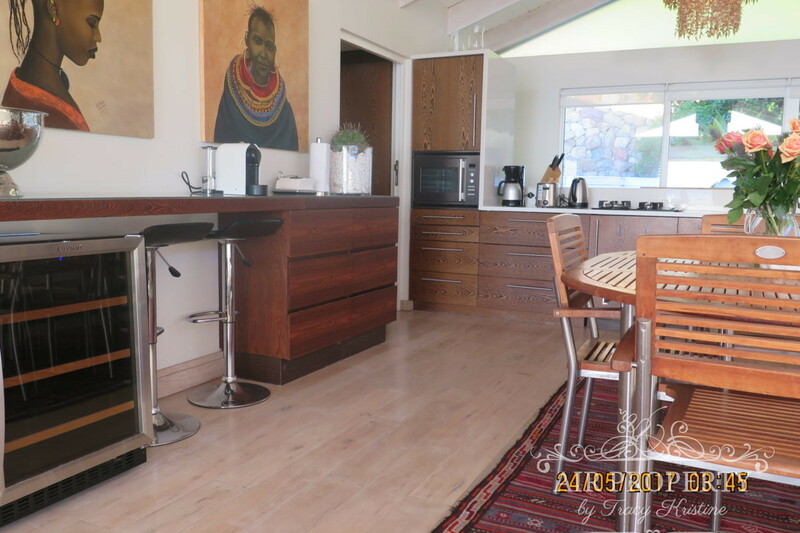 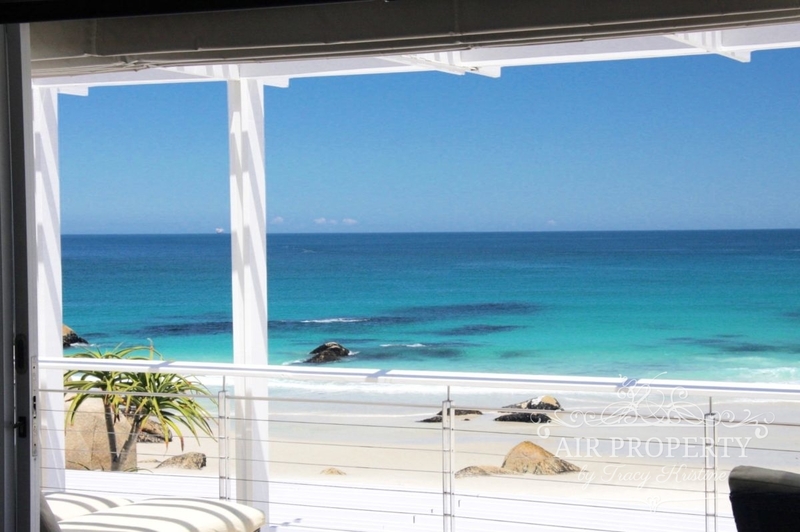 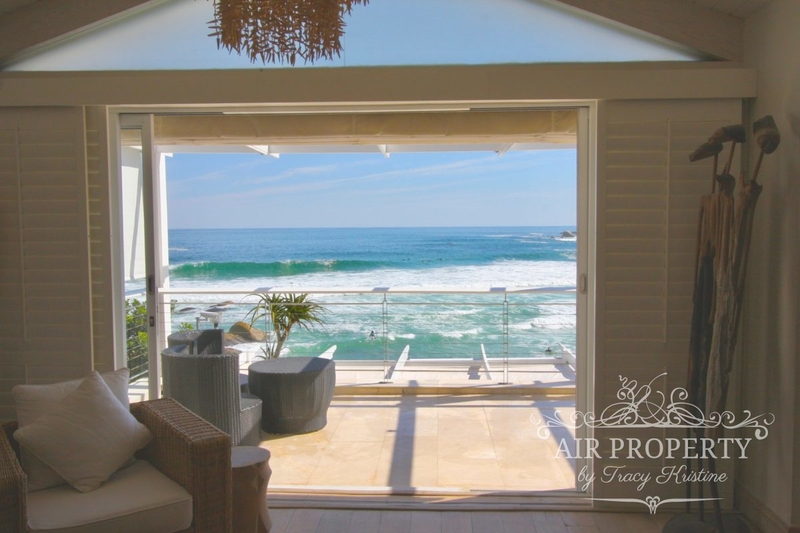 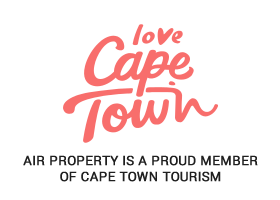 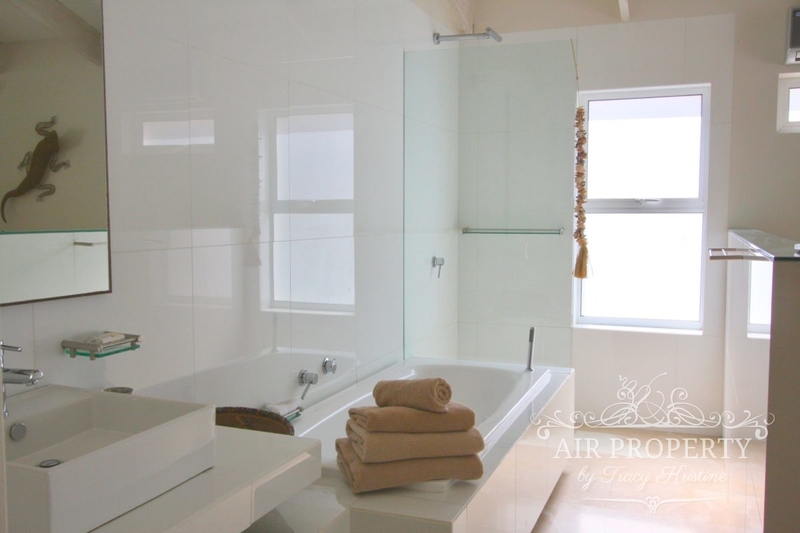 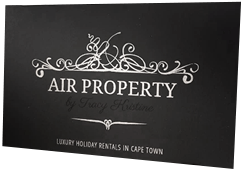 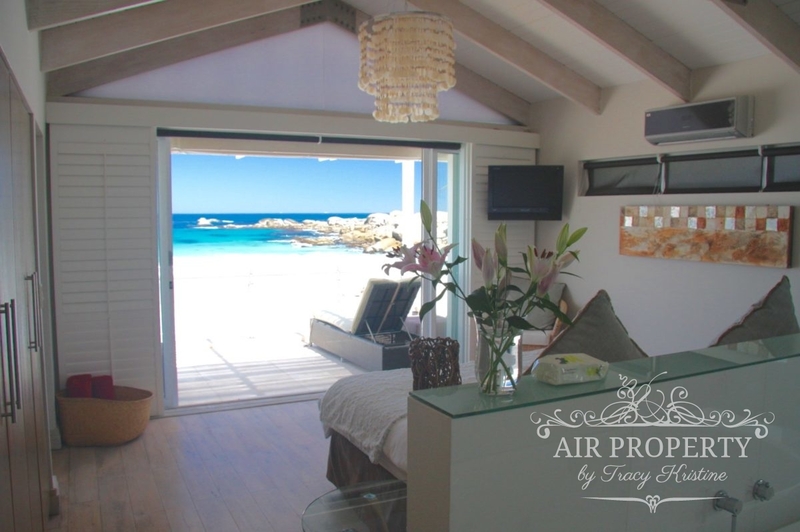 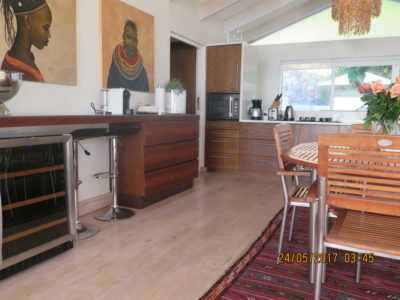 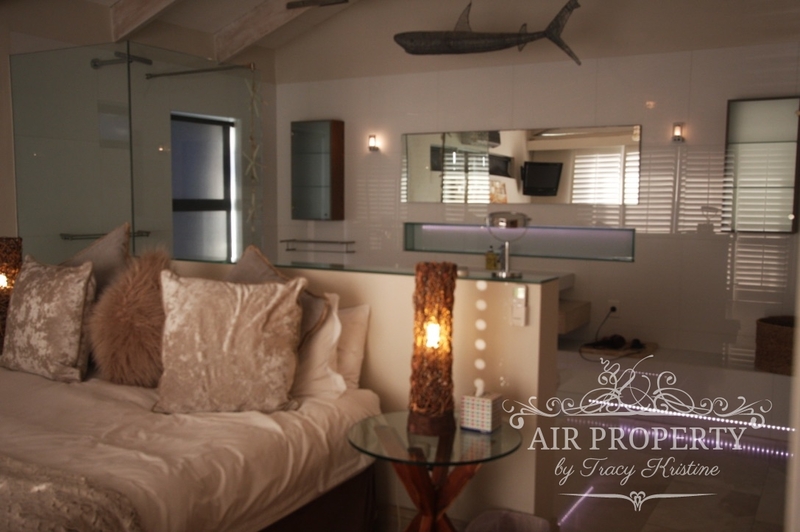 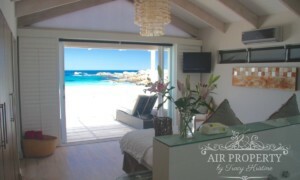 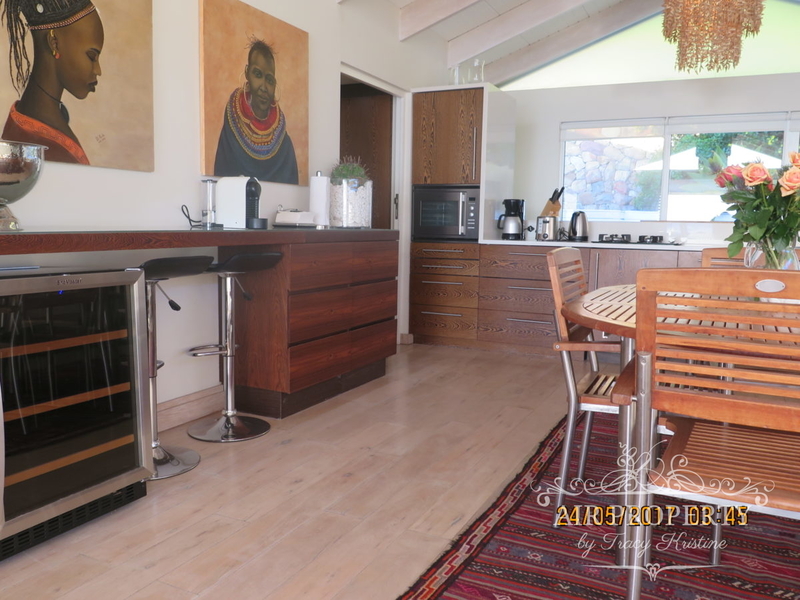 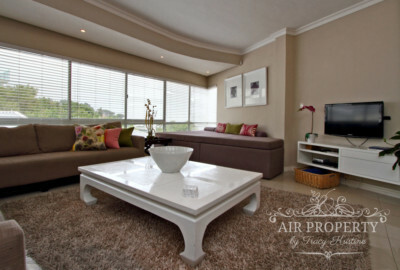 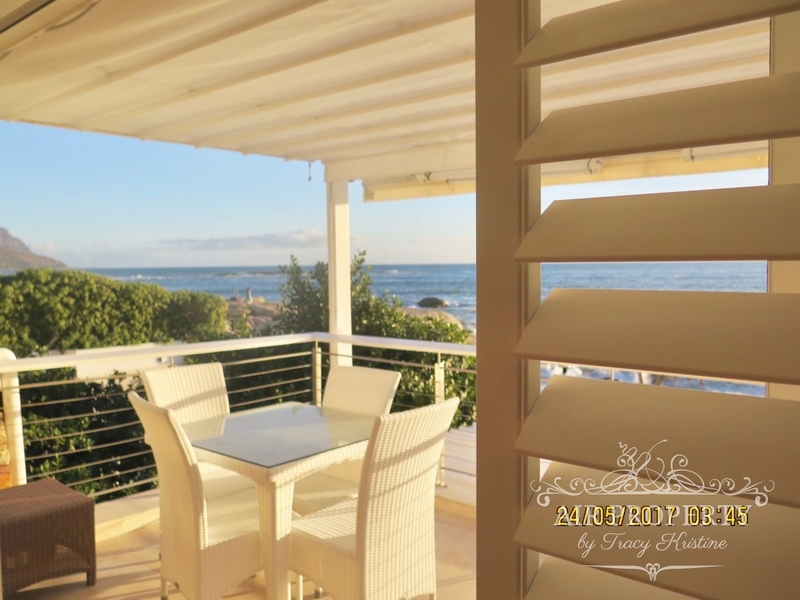 This stunning villa is situated on Glen Beach, a tiny enclave on Cape Town’s Atlantic seaboard. 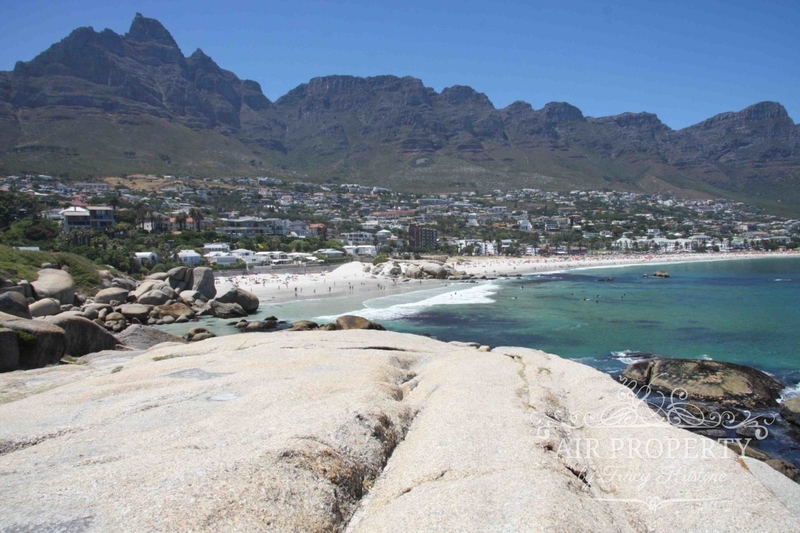 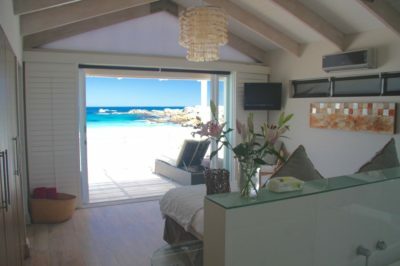 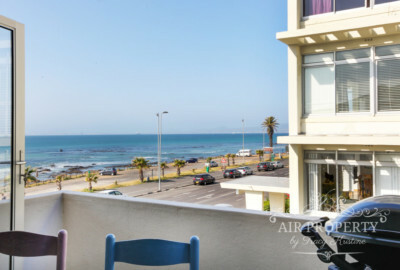 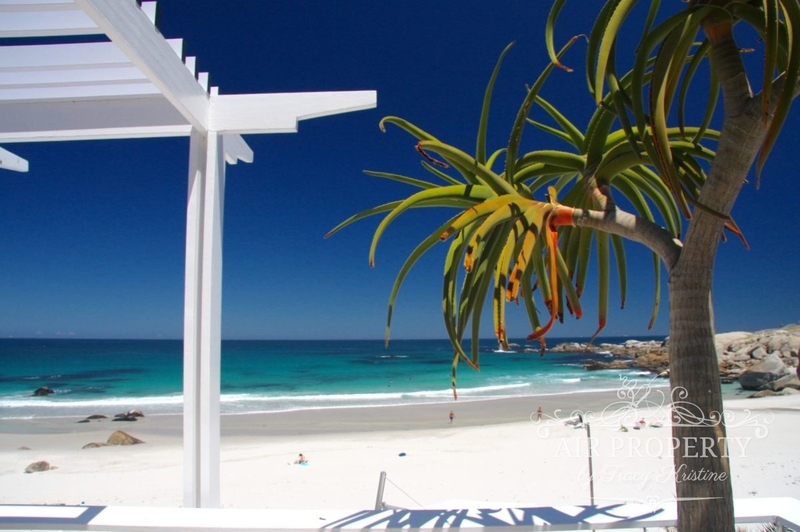 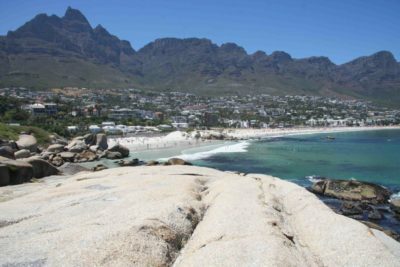 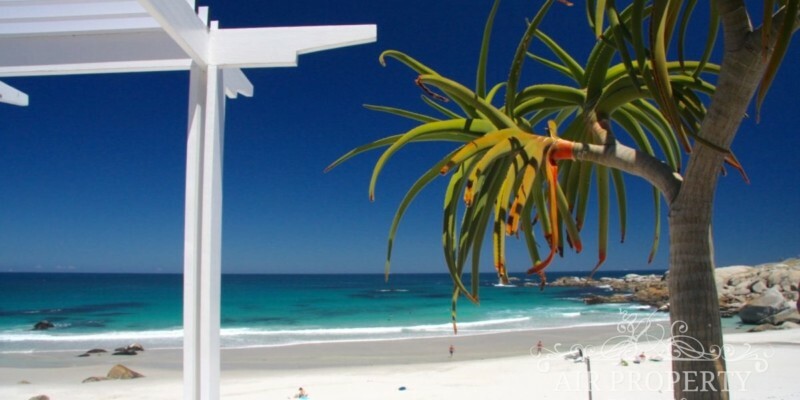 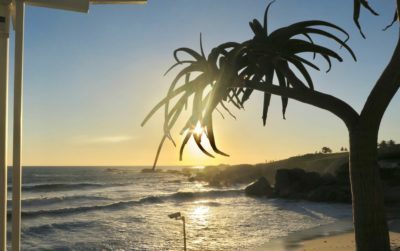 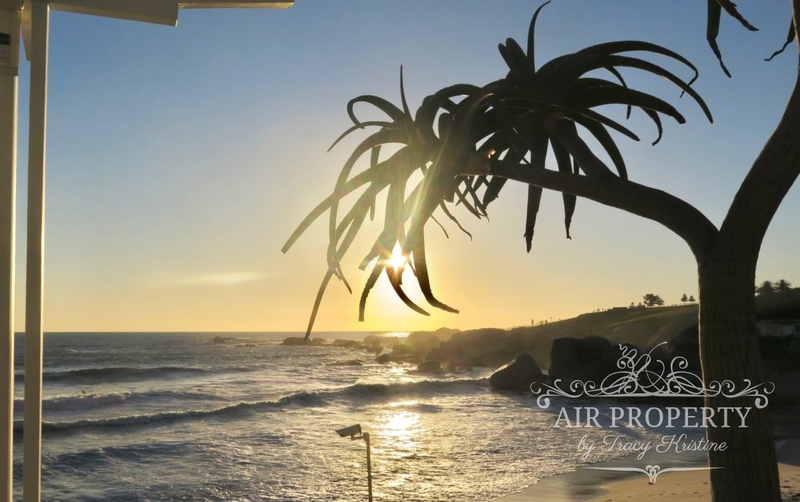 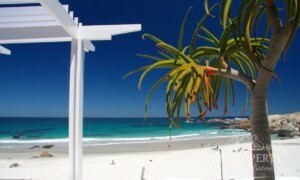 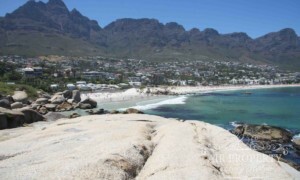 To the south of the Glen, Camps Bay beach sweeps towards the spectacular Bakoven cove and to the west, the Atlantic Ocean drops beyond the horizon. 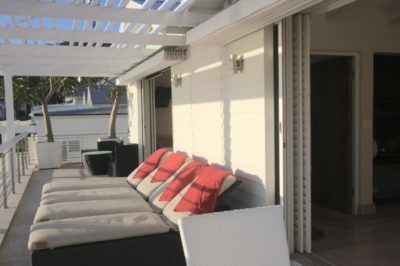 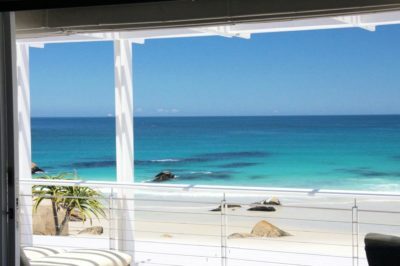 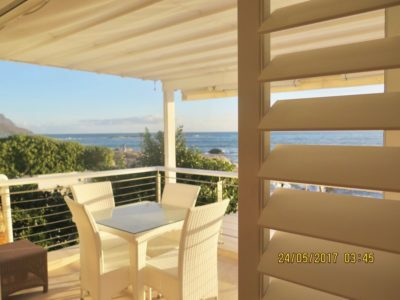 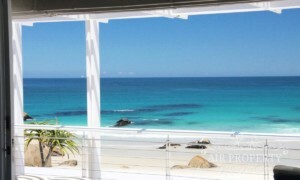 This chic beach penthouse epitomises beach front living just metres from the sand. 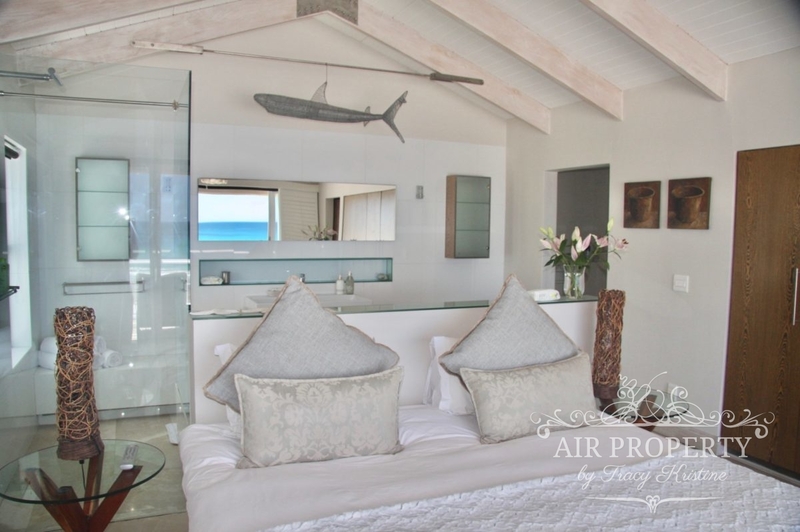 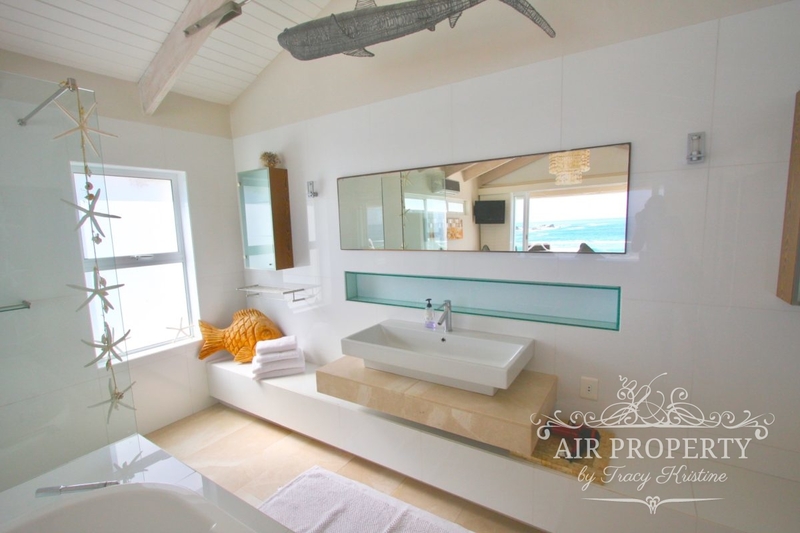 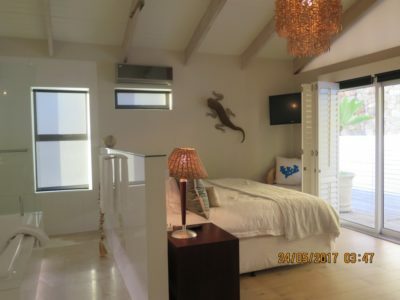 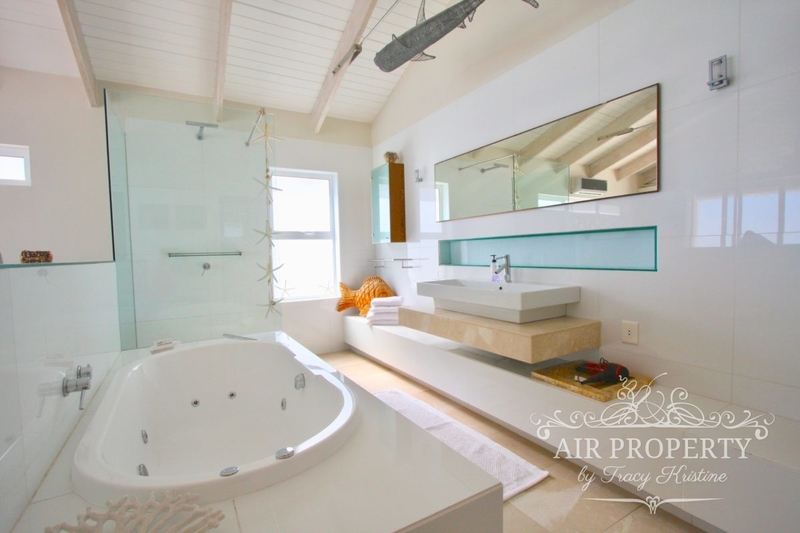 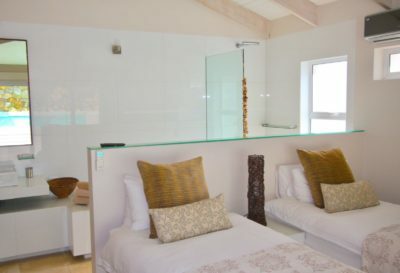 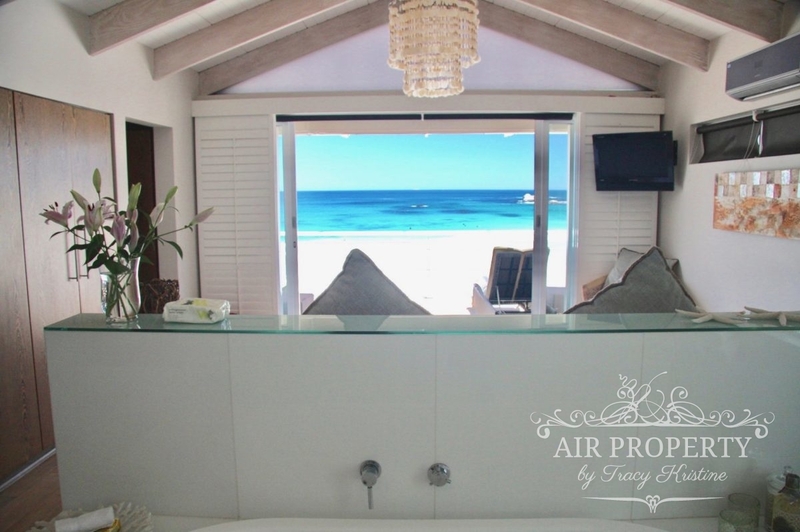 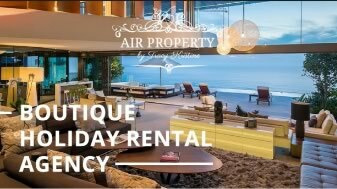 With sweeping sea views it is located upstairs in the villa but ensures privacy due to its placement, separate entrance and own private deck and plunge pool at the back. 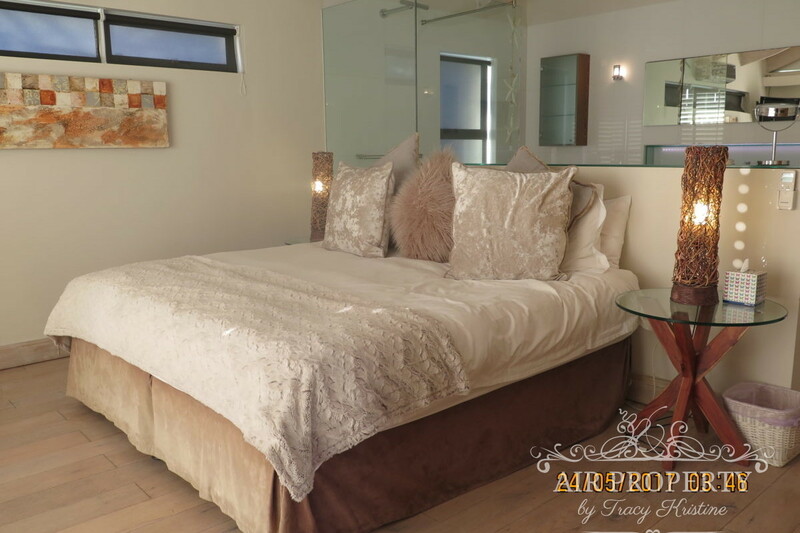 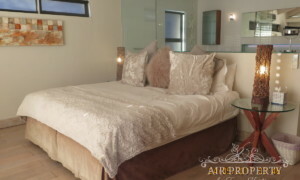 Main bedroom with king size bed with en-suite bathroom;spa bath, shower, bidet and toilet. Bedroom 2 with 2 single beds with en-suite bathroom; Bath, shower and toilet.